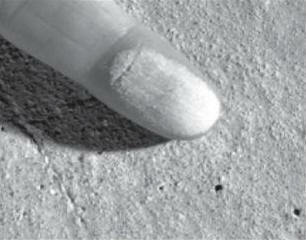 Concrete dusting (white powder) occurs when the concrete wear surface is weak. 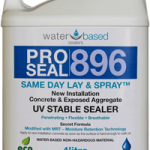 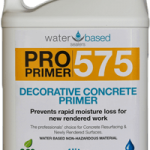 Treating dusting concrete areas with WBS Pro Seal 896 will strengthen the wear surface. 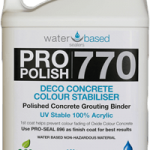 WBS Pro Seal will assist in re bonding the concrete whilst protecting from stains and strengthening the surface.